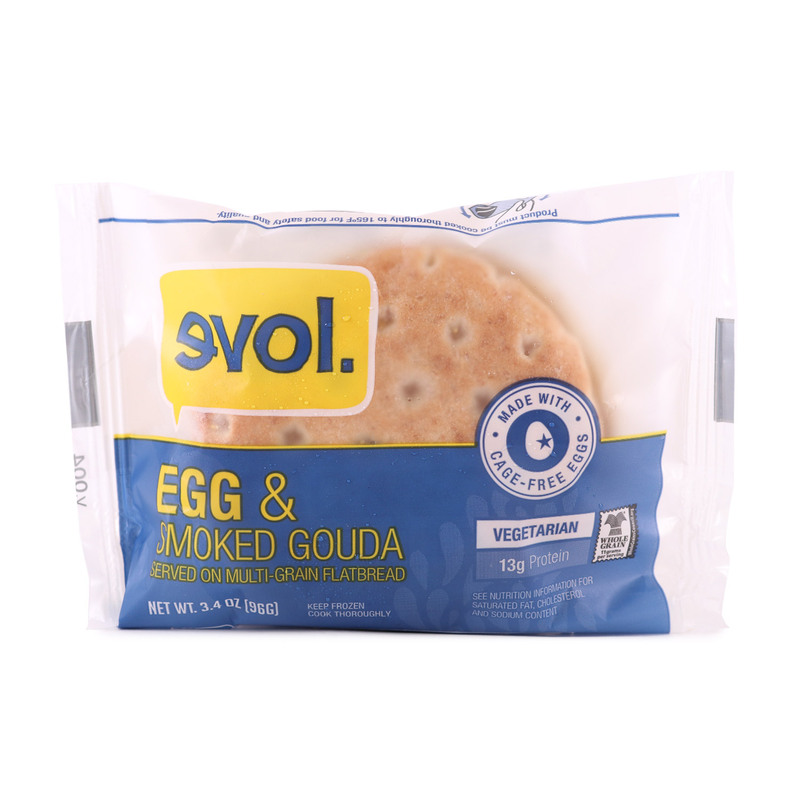 Evol’s food philosophy is simple, love what you eat. Somewhere along the way frozen food started getting a bad name and Evol’s mission is for people to care about where their food comes from, what ingredients are in it and taste shouldn’t be the price for convenience. 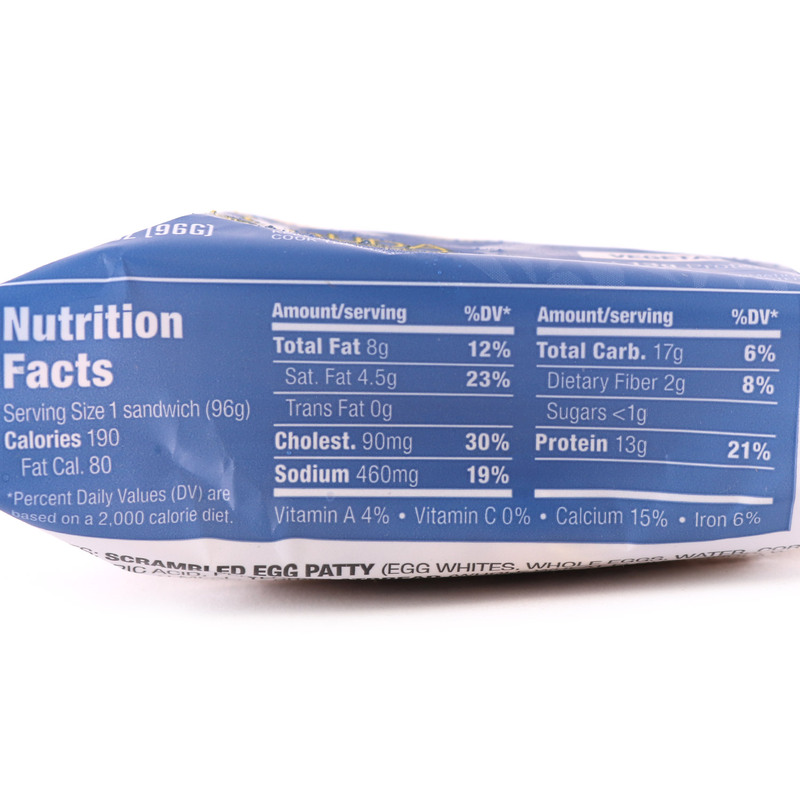 This egg and smoked Gouda breakfast sandwich is a vegetarian sandwich made with cage-free eggs. If you’re looking for a lighter breakfast option, this is a great go-to choice! 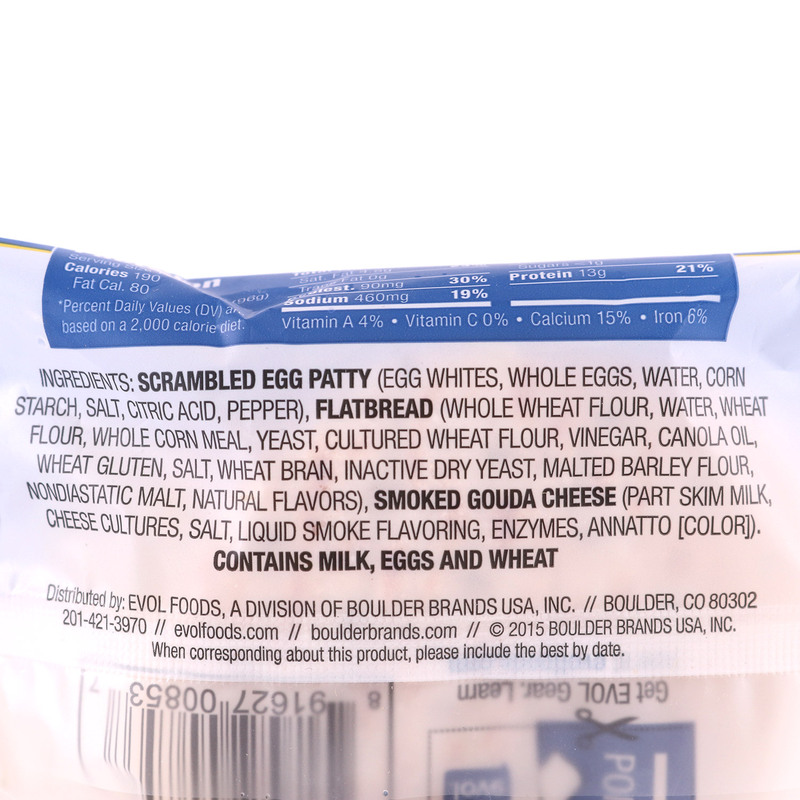 Scrambled Egg Patty (Egg Whites, Whole Eggs, Water, Corn Starch, Salt, Citric Acid, Pepper), Flatbread (Whole Wheat Flour, Water, Wheat Flour, Corn Meal (Indicates Certified Organic Ingredient), Yeast, Less than 2%: Cultured Wheat Flour, Vinegar, Non-GMO Canola Oil, Wheat Gluten, Salt, Wheat Bran, Inactive Dry Yeast, Malted Barley Flour, Nondiastatic Malt, Natural Flavors), Smoked Gouda Cheese (Pasteurized Part Skim Milk, Cultures, Salt, Liquid Smoke Flavoring, Enzymes, Annatto).